Lesa, Michele, Nathan and James knocked 'em dead! 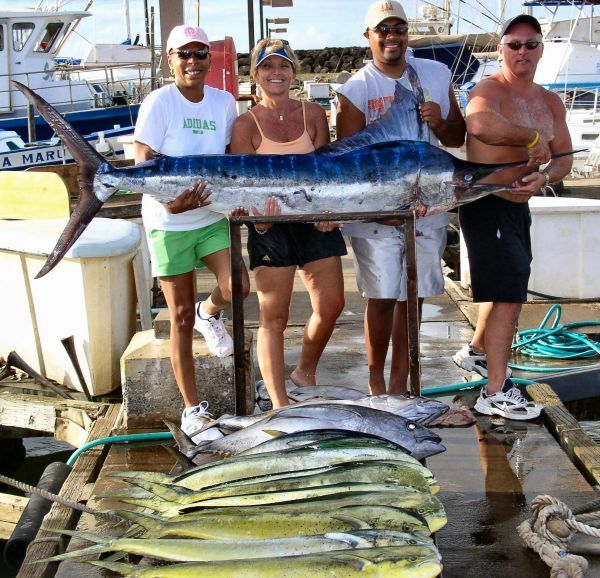 8 Mahi Mahi, 3 big Tunas and a nice 100 pound Striped Marlin. This was a fun day with a great group of people. Hope to see you next year.